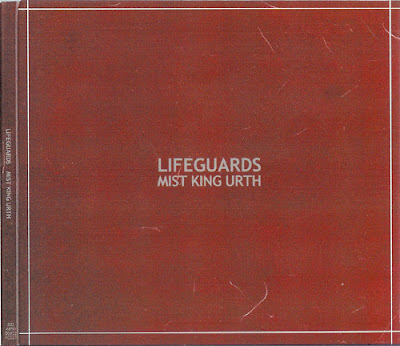 Welcome to 2003's meeting of the minds, as Robert Pollard joined forces with then GBV lead guitarist Doug Gillard to form the side-project Lifeguards. In typical side-band fashion, Pollard provided vocal melodies, song titles, and lyrics. Gillard played everything himself before sending it over to Pollard. The LP mixing bowl full of proggy, art-damaged, arena rock that has the misfortune of containing 3 whole instrumental tracks on an 11 song LP. 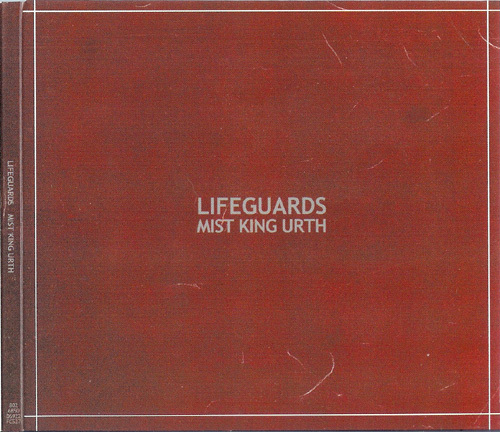 This was Lifeguards only release until the moniker was dusted off and the pairing released their follow-up LP, 2011's Waving At The Astronauts. Gift of the Mountain- 1 Repetitive duel guitar instrumental that plays out for a minute and half, and sounds like a Doritos Xtreme commercial or an ad for no-holds-bared mountain biking. Starts at the River­- 2 Pollard does his best here to present his best frail old lady impersonation. Vocals are way too high in the mix over Gillard’s simple drum stomping and ripping guitar antics. Fairly decent melody and all, but uneven (and unmixed) in its delivery. First of an Early Go-Getter- 3 The opening section is great, if you're a reflective serial killer who likes Casio drones. Then, sounds like a plodding Elton John anthem. Has the potential to feel nauseating but effectively moody, and bizarre. Nifty Jethro Tull-like interludes in there too. Sucking in the ‘70s, Gillard/Pollard style. Society Dome- 4 Folk tune for the mystics. Elfin and bouncy in its light approach. The catchiest of the early batch. Middle-urth, Renaissance, festival pop. Shorter Virgins- 1 Gillard sounds like he’s auditioning for an NES video game soundtrack about California side-walk surfing in the ‘80s. It is rumored, when a cold chill runs down your spine, this song is playing somewhere on planet urth. No Chain Breaking- 1 The long one to end side A. The first half of the song is late-period GBV, high-end guitar grazing, and easy listening style Pollard vocals. Drums finally lightly kick in but you’ll probably only notice it if you’re still awake. A moody, oddly arranged song. Pollard also seems to have difficulty matching up the vocals here. An exercise in boredom. Sea of Dead- 3 2nd instrumental of the 11 song album. Don’t want to overexert those vocal chords, huh Pollard? Unlike “Gift of the Mountain,” “Sea of Dead” provides some interesting bendy guitar riffs that boarder walk a thin line between silly and psych. Moody, strange, and nightmarishly fun. Surgeon Is Complete- 3 Mash up of some Zeppelin riffage and grunge. “Take it out now, take it out…” sounds like a repetitive Nirvana line, but the song is just samey enough to miss being worthwhile. Then We Agree- 2 Guitar tone comparable to a kid's guitar played out of a beginner amp, which gives the pretty killer overcast feel. Still, the song itself is pretty dull. As a wise man never said, can't win points on simply feeling sullen. Fether Herd- 1 Instrumental number 3 of the record! This is a fun syncopated, never ending drum fill played on toms and snare, with a couple of recorders being played over it. Bizarre filler. Maybe good for a soundtrack, but highly worthless in the context of an LP. Red Whips and Miracles- 4 Grab my slippers, I’m gonna be here a while. At over 8 minutes, this is quite a closer. Piano and steady bass keep the song pretty poppy with the most solid Pollard vocal performance of the LP. Great jangly guitar riff pops in part way through. Goes through moody twists and turns, all while the ‘70s popped-up piano keeps poppin’ away its dandy POP before fading into solo balladry land. Oh yea, Pollard disappears somewhere around the 3 minute mark, but no matter. Interesting, and enjoyable lengthy closer. love Red Whips and Miracles. Great song. listening to this right now. very odd, very good album. wish Pollard would record more interesting experiments like this. I love No Chain Breaking. I think it's a really underrated album in general.